Another great weekend in Deltaville. 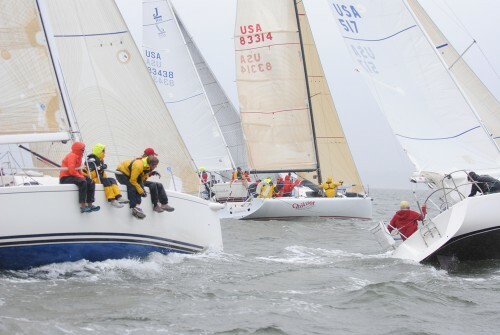 Saturday was probably the last regatta I am going to sail in for the year. 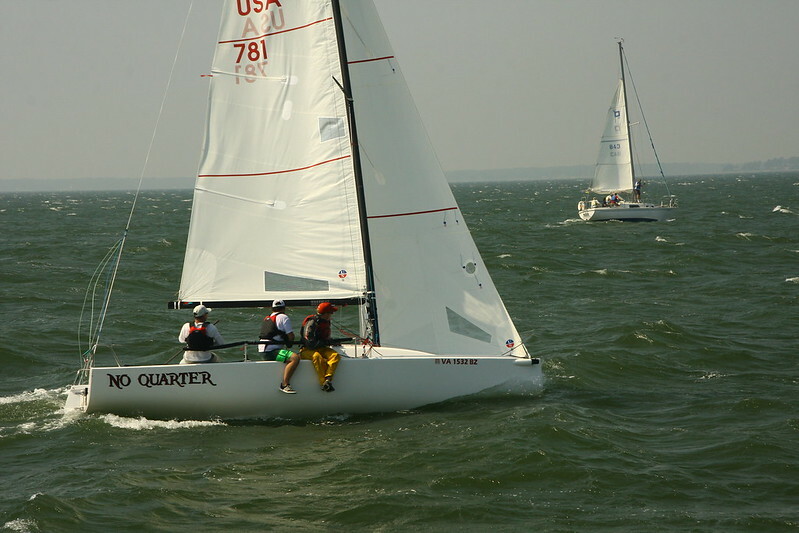 It was the Sail Against SIDS/Indian Summer Regatta and we had 3 lasers out. I can’t say I sailed very smart, missing things like the number of laps and major wind shifts. But I made up for it by being fast and won 5 close races. 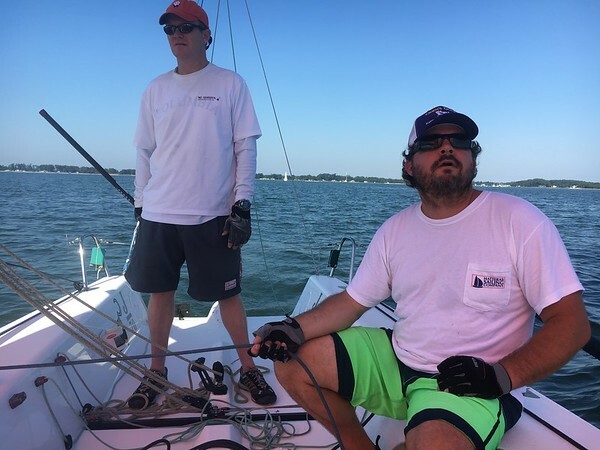 It was fun sailing with Mike and Steve and I want to thank Allan’s crew for putting up with me always wanting our fleet to sail a different course than the other fleets. 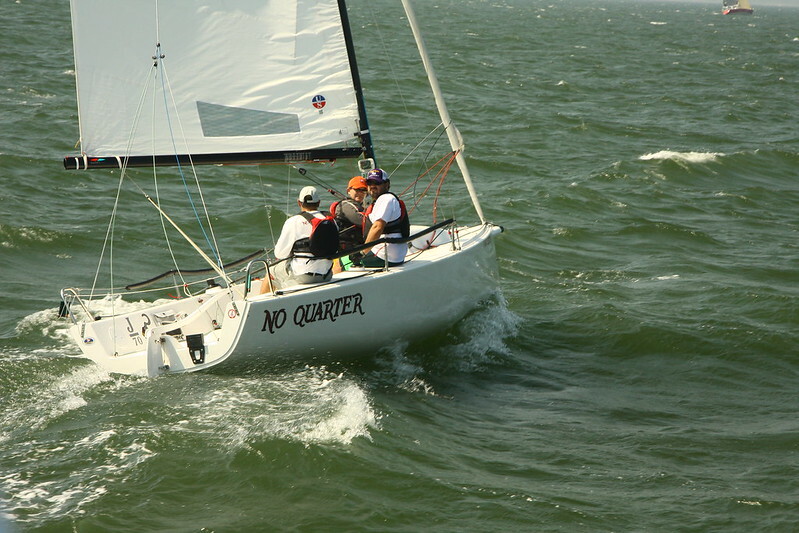 Sunday was the Offshore Fall Series #2 at Fishing Bay Yacht Club. I ran the mark boat with Miles. With a strong, cool north wind, we sailed the races in Fishing Bay. Occasional light rain added a little misery. 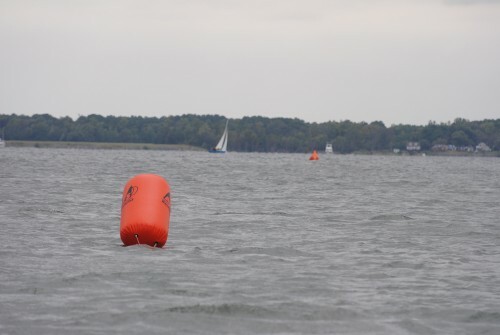 It’s always a sight seeing 15-20 twenty to forty footers racing in the shifty conditions in the Piankatank. My only real responsibility as the mark boat: making sure the marks all line up with the committee boat. Despite the bad weather, I was able to get some pictures of the action that can be seen here.